Everything you could possibly need from a mobile casino is neatly rolled into this awesome package! It’s no wonder Bethard are picking up fans and followers all over the world! Now the casino has a UK Gambling license so it’s all steam ahead for UK players too! The neat looting casino has a bold look with a black and yellow colour scheme and cool fist bump logo that really stands out. The site looks super awesome on mobiles and it’s intuitive so you can quickly find your way around the casino areas and into the sports-betting site with a quick tap of the screen. The casino offers 24/7 customer support including a handy live chat facility which you can quickly access on your mobile using the link at the bottom of your screen. There are several major payment options offered however we would like to see them add a mobile-focused payment option at some point in the future. If we had to pick holes it would be that there could do with a few more live casino games especially as they have seen to it that the Live Casino has its own section of the site. You’ll also have to scroll through the entire collection of slots (of which there are stacks) to find what you want. It would be good to see some more filter options, or ways to narrow down the games a little. 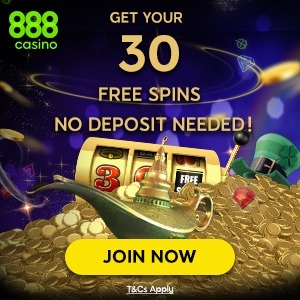 That’s just us being super picky though as overall this is a solid site that any mobile casino fan should thoroughly enjoy! Bethard Mobile casino is home to a collection of slots, jackpots, table and card games from Microgaming, NetEnt, iSoftBet, Quickspin, Thunderkick and more. They have an extensive choice of video slots with many popular titles such as Immortal Romance, Gonzo’s Quest, Starburst and Aloha! Cluster Pays. There are also jackpot slots such as Mega Fortune and Hall of Gods. In addition to slots, the casino features classic table games and card games and also live dealer games available 24 hours a day. Bethard gives off the impression that there is a well established and knowledgeable team behind the scenes. It certainly shows in the quality of the design and also the calibre of games on offer. It offers a secure and safe place to play slots and place sports bets on the move. This welcome package could see you taking home up to £50 in wager free bonus cash! That sounds like a pretty good deal for any player but you’ll need to meet a few requirements first. First off you’ll need to register a new casino account. Then, make a deposit of £20 or more. Finally, wager at least £100 and they will give you £5 WAGER FREE which you can withdraw immediately if you wish. You can do this up to ten times so if you really want to maximise this bonus then you’ll need to wager at least £1000. A little rich for us, but there may be some high rollers out there looking to get some extra spends! Always make sure you gamble responsibly and always play for fun. www.begambleaware.org. Bethard Mobile Casino is licensed by the UK Gambling Commission. The casino features software developers whose games have been audited and certified as fair. An all-encompassing mobile casino for every gambling fan looking to enjoy gaming on the go. Bethard lives up to its name with a massive collection of leading slots and big promotions just like this wager free bonus offer for new players!